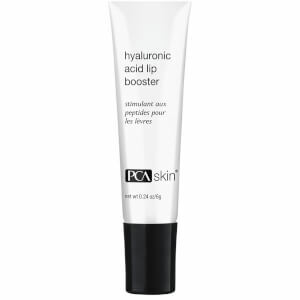 Attain deep, long lasting hydration with PCA Skin’s Hyaluronic Acid Boosting Serum; an advanced, triple-phase treatment that works at the surface, beneath the skin and at a molecular level from within. Scientifically developed and tested to deliver optimum efficacy, the potent formula is based upon Hyaluronic Acid and Sodium Hyaluronate, which effectively attract and retain up to 1,000 times their weight in water for instant hydration. Hydrolyzed Hyaluronic Acid penetrates deep into skin, maintaining optimum moisture levels to help plump the appearance of fine lines, while an innovative proprietary HA-Pro Complex™ stimulates the skin’s natural hyaluronic acid production process for 24-hour moisturisation and long-term anti-ageing effects. Advanced Niacinamides and Ceramides deliver essential antioxidants to improve the barrier function and support cellular renewal, forming a protective layer across skin for a more even and balanced tone. 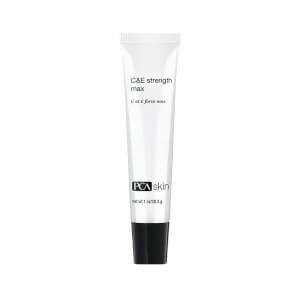 Skin feels fresh, soft and supple with maximum hydration. Free from synthetic dyes and fragrances. Not tested on animals. Water/Aqua/Eau, Propanediol, Glycerin, Niacinamide, Dimethicone, Hydrolyzed Yeast Extract, Polyglyceryl-3 Beeswax, Coconut Alkanes, Phenoxyethanol, Isododecane, Jojoba Esters, Dimethicone Crosspolymer, Polysilicone-11, Sodium Hyaluronate, Sodium Benzoate, Carbomer, Xanthan Gum, Hydrolyzed Hyaluronic Acid, Cetyl Alcohol, Polyglyceryl-6 Distearate, Sodium Lauroyl Lactylate, Disodium Acetyl Glucosamine Phosphate, Hydrolyzed Glycosaminoglycans, Ethylhexylglycerin, Sodium Hydroxide, Hexylene Glycol, Polygonum Bistorta Root Extract, Cetyl Hydroxyethylcellulose, Rosmarinus Officinalis (Rosemary) Leaf Oil, Aroma, Polyglucuronic Acid, Ceramide NP, Hyaluronic Acid, Sodium Carrageenan, Ceramide AP, Phytosphingosine, Caprylyl Glycol, Cholesterol, Lecithin, Maris Sal, Ceramide EOP. 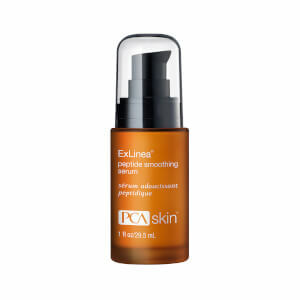 This serum is so smooth and soft, it absorbs into the skin without any sticky residue! Skin feels well-hydrated and plump. I started seeing an improvement in just a week!